There are a wide range of items you use made from aluminum. 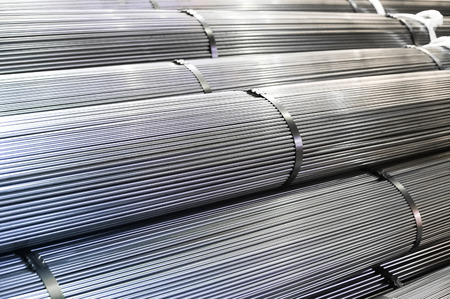 From bicycle frames and ladders to mailboxes and window frames to patio furniture and even car rims, you can find aluminum in so many different items. And of course, just about everyone is familiar with the aluminum foil used to wrap up leftovers after dinner. Nevertheless, how much do you actually know about the metal? Let’s take a look at some interesting facts about aluminum. Aluminum makes up a large percentage of the Earth’s crust. There’s a good reason why humans have found so many ways to use aluminum. It’s due in large part to the fact that aluminum is one of the most plentiful metals. Aluminum makes up approximately 8 percent of the weight of the Earth’s crust. It can be found in more than 270 minerals and is believed to be the third-most abundant mineral on the planet behind only oxygen and silicon. It oxidizes in the same way iron does but with a different result. In theory, aluminum shouldn’t be anywhere near as useful as it is today. It oxidizes just like iron does and loses electrons quickly. But while oxidation causes iron to rust, aluminum oxide actually sticks to the original aluminum as oxidation occurs. This prevents aluminum from decaying any further and makes aluminum a better option for creating many items. There has been a huge push to recycle aluminum over the years, and it has most certainly paid off. Roughly 75 percent of all of the aluminum that has ever been used to produce items is still in use today because of recycling. Aluminum cans, in particular, are recycled at a high rate. The aluminum soda can you drink out of today was likely recycled about 60 days ago on average. The aluminum furnished and supplied by Eagle Alloys is great for a variety of different commercial applications. It’s most often used in the transportation and building industries but can also be utilized in other areas thanks to aluminum’s properties. Aluminum is known to be lightweight and strong and is also a good electrical and thermal conductor. To get your hands on aluminum sheet metal, aluminum plates, aluminum bars, and more, call us at 800-237-9012 today.